The collaboration among the researchers of the ICSR “Mediterranean Knowledge” goes far beyond the pure transfer and exchange of knowledge. Indeed, implemented projects shall be founded on action-research aimed at creating cultural exchange on two levels: the proposal of theories, models, frameworks, indicators and research methods functional for identifying priorities on which to carry out research, whose validity in application and the suitability of the findings will be verified; and a process of “ongoing learning” that will inform research. Plan research and interventions, as well as resources (tangible and intangible) with an interdisciplinary orientation through the participation of different disciplines and sectors involved at different levels according to the characteristics of the problem, thus facilitating a global overview. 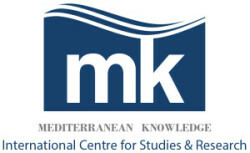 Promote the creation of operational links among the various ICSR-MK member universities and research centres that organise activities for the promotion of research and interventions that, on the one hand, aim to support occasions for reflection and debate, and on the other hand, the realization of protocols and joint action programs. Take on the responsibility to stimulate action, above all where there is ongoing research and understanding of the changes within or external to the Mediterranean and Europe. A public and collective (shared) action plan, built around the research and interventions of the centre, needs to be designed. Awareness-raising campaigns whose objective is that of improving the transparency of research and intervention results, will often have to be linked to the aforementioned action plan with the aim of facilitating decision making and contributing to its realization in a participatory and democratic manner. Copyright © 2019 Mediterranean Knowledge. Powered by WordPress. Theme: Accelerate by ThemeGrill.